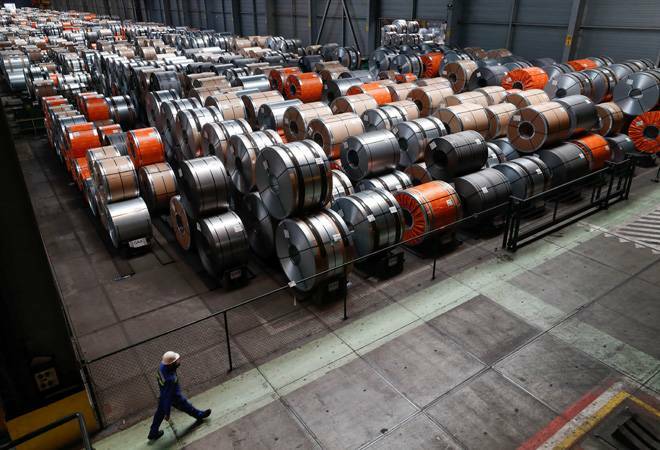 India has launched a complaint against the United States to challenge U.S. President Donald Trump's tariffs on steel and aluminium, a filing published by the World Trade Organization showed on Wednesday. Indian officials told Reuters last month that their government would open a WTO dispute if the country's firms were not granted an exemption. Trump imposed the tariffs in March, levying 25 percent on steel imports and 10 percent on aluminium. He said they were justified by national security concerns and therefore outside the WTO's remit. India, China, Russia, Japan, Turkey and the European Union have all dismissed that claim, regarding the U.S. tariffs as "safeguards" under the WTO rules, entitling them to a combined $3.5 billion in annual compensation. India's retaliation claim seeks to recoup a cost of $31 million levied on its aluminium exports and $134 million on steel, and it has said it could target U.S. exports of soya oil, palmolein and cashew nuts in its retaliation. Its latest legal challenge seeks to force the United States to scrap the tariffs entirely. It follows a similar move last month by China, which Washington called "completely baseless". Under WTO rules, the United States has 60 days to settle the complaint, after which India could ask the WTO to set up an expert panel to adjudicate. However, uncertainty is hanging over the WTO's dispute settlement system because Trump is vetoing the appointment of new appeals judges. It said they broke the WTO's safeguards agreement and the United States was trying to use its tariffs to get other countries to agree to "voluntary export restraints". The United States had also exceeded the maximum import tariff allowed by the WTO and the tariffs were not applied uniformly to steel and aluminium imports from all suppliers, breaking a core principle of the WTO rulebook.